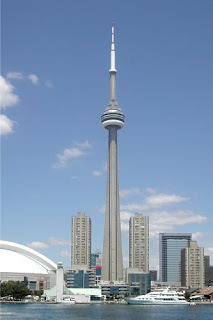 The CN Tower one of the largest engineering works of our time and tourism centre in the world. 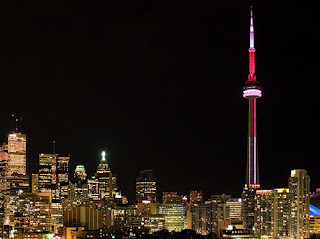 The CN Tower is the World's Tallest Building and Free-Standing Structure and has the world's highest public observatory, although it is not considered to be a traditional building. At a height of 553.33m, it is an important telecommunications hub. 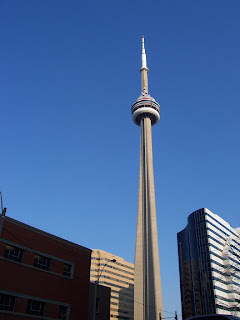 It is almost twice as tall as the Eiffel Tower and more than three times the height of the Washington Monument.